The Portland Metropolitan Area is a hub of culture, business and recreation. The Portland Metro area is considered the largest urban area in Oregon. Housing more than 2 million people, this eclectic region integrates the beauty of the surrounding area and the population's love for the outdoors with superior schools, and enterprising business district and abundant cultural as well as artistic offerings to its inhabitants. Those looking for a real lifestyle change will love Portland. 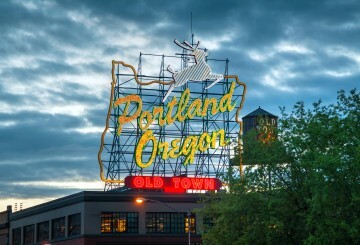 From rivers and lakes to beaches and mountains, Portland has something for everyone; especially the outdoor enthusiast. Whitewater rafting, skiing and miles of incredible hiking trails make this city a wonderful mix of urban and rural living. The scenery is unsurpassed, offering spectacular views in just about every neighborhood. In addition to its many offerings, Portland's one main draw is its attitude. Featuring a much more laid back atmosphere than most cities, Portland appeals to all types of people including families, seniors and young adults. Boasting an eclectic nightlife, Portland offers both the excitement of city living with the laid back feel of a small town. Its friendliness is unsurpassed by any other city in the nation. Named one of the "most likable cities" in the United States in 2013, Portland is also considered a top destination among people who move from one state to another.Downtown Portland is a bustling urban scene with something for everyone. In addition to landmark cultural destinations such as Keller Auditorium or the Schnitz, formally known as the Arlene Schnitzer Concert Hall, the city's heart has an almost overwhelming range of destinations.